Yikes! This python sure knows how to make an entrance! 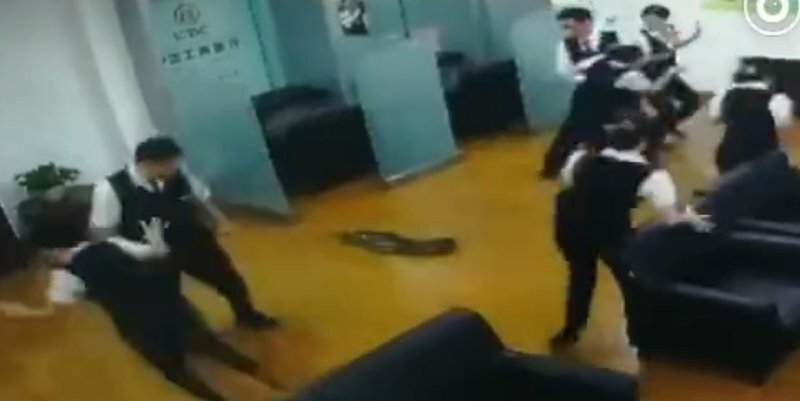 Watching a group of employees running for their lives after a snake interrupted their meeting is sort of funny, but what would you have done if it was you in this situation? Video footage surfaced on Facebook showing a python breaking through a ceiling. It lands at the center of two employees, breaking up what looked like a very serious meeting. According to The Indian Express, police and wildlife experts were called in to rescue the slithery serpent. Have you ever had an unexpected encounter with a snake? Share your stories with us below.